Over thirty years ago Fan-Tastic Vent saw the need for better ventilation in recreation vehicles. Fan-Tastic Vent was chartered as a stock corporation in 1984 and in 1985 began production of a 12-volt high efficiency ceiling fan in Burton, Michigan. In its first year the company employed 4 people and built approximately 2,000 fans. As sales continued to grow, the company moved to a larger facility in Capac, Michigan, in 1995. In an unfortunate turn of events, a devastating fire followed the move in January of 1997, resulting in a total loss. Incredibly, the company rebounded much faster than the industry or the community anticipated. In just eleven days Fan-Tastic Vent was able to resume production. In 2010, Fan-Tastic Vent was acquired by Atwood Mobile Products LLC, a leading supplier to the recreation vehicle industry. Today Fan-Tastic Vent continues to be one of the most recognized brand names in the industry and has sold over 3 million fans. The products produced by Fan-Tastic Vent have expanded over the years so that currently several models of fans and vent covers are produced. 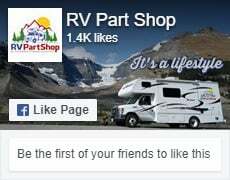 Fan-Tastic Vent products are marketed primarily to the recreation vehicle industry and shipments are made to 5 continents. Products are sold to original equipment manufacturers and to aftermarket customers through dealers and distributors. Although the product has had many improvements and convenience features added over the years, the basic purpose remains unchanged. We set out to build a high performance product which operated quietly and economically; an appliance which was easy to install and operate, had components which would endure the rigors of high usage yet was affordable to consumers at every level. Users tell us that their Fan-Tastic Vent(s) are the second most used appliance in the rig. Cool clean fresh air, which can be exchanged in seconds, is a very important objective for users. Available features like in and out air flow switches, thermostats, and rain sensors are great convenience features but the capability of the fan to move nearly 1,000 cubic feet of air every minute and give the users a comfortable environment day and night is our primary feature. Customers who experience a need for parts or service needn?t get caught up trying to find solutions. We encourage dealers and customers alike to contact us directly and we are confident that no customer is ever left holding the bag.